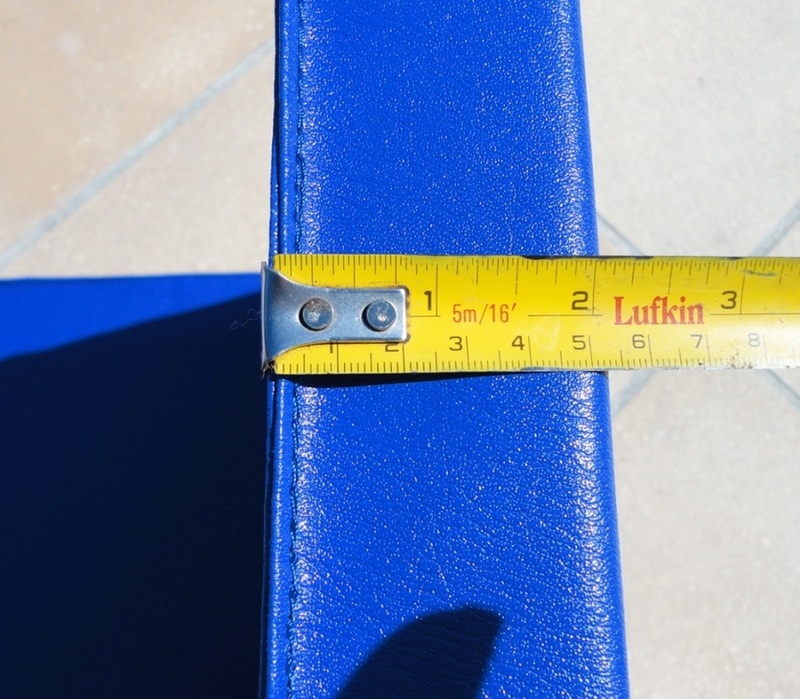 The first thing to strike me about this exercise mat is the thickness. 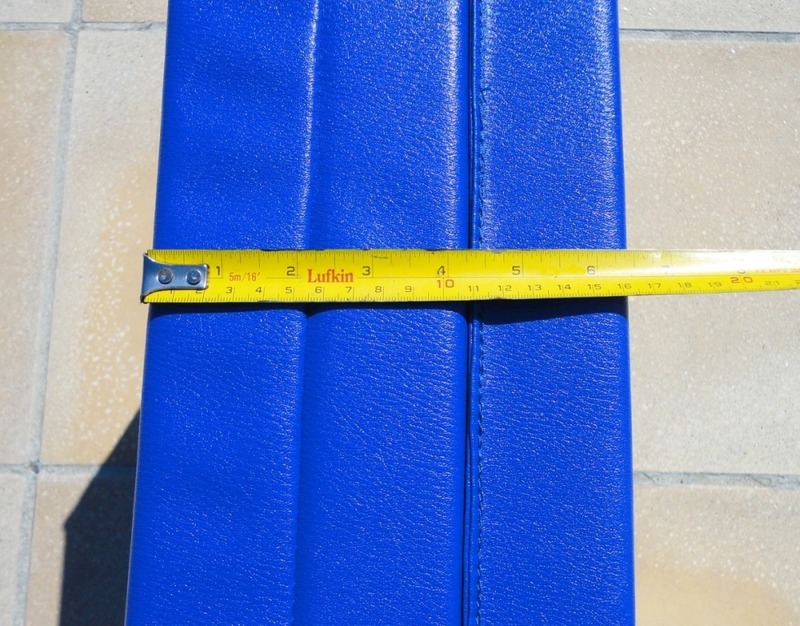 Most of the better yoga mats measure 1 cm, this one is 5 cm thick but still very lightweight. 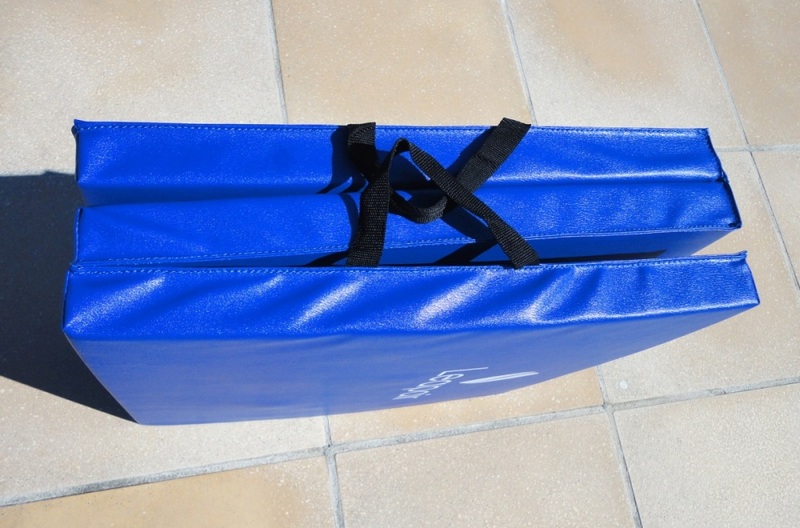 Too thick to roll up, it folds in three for storage and carrying (with the two attached handles). 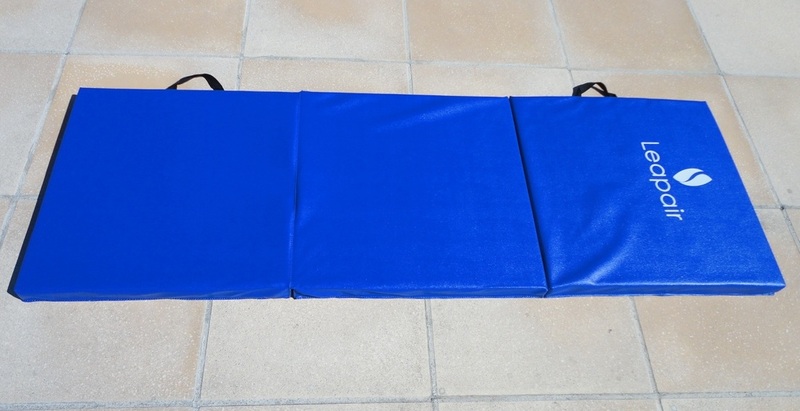 The filling is EPP (Expanded Polypropylene), a very durable stiff foam that cushions effectively and provides insulation from the ground and a cold floor. It can be used on grass, as well as pavers, planks and any type of indoor flooring. 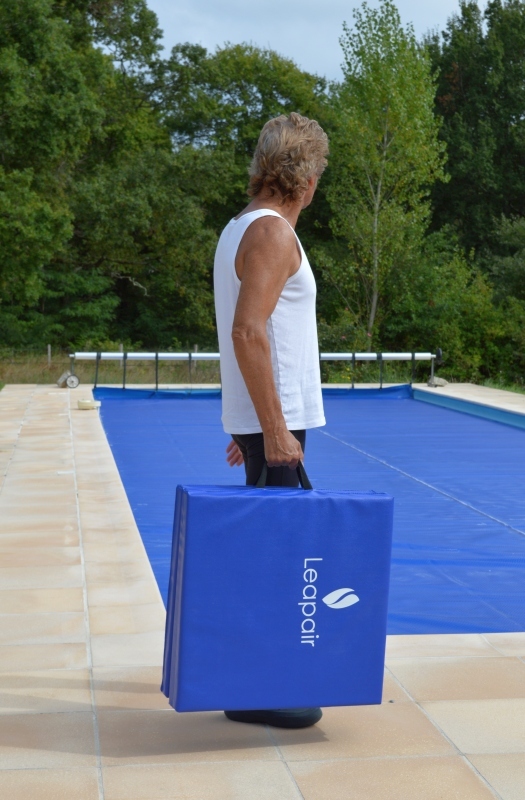 It's ideal for push-ups, stretching, gymnastics, yoga and floor exercises. The synthetic leather-like covering is slightly tacky to give good grip even when sweating. Easy to wipe clean, I prefer to use it without any gym towel, in fact, adding a fabric layer would defeat the purpose. It's very comfortable as it is. 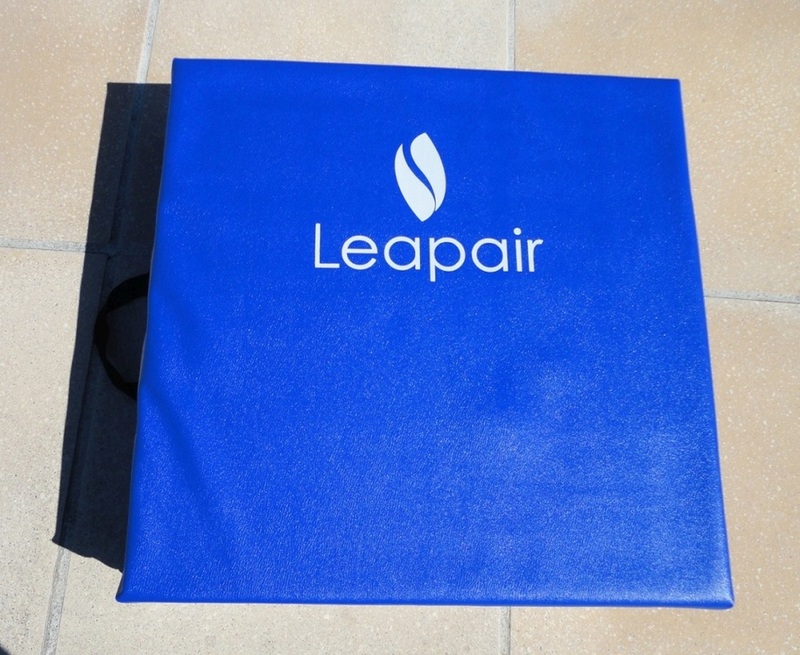 Available in two colours, I chose the blue, a beautiful, saturated shade of royal blue, nicely contrasted by the white logo. 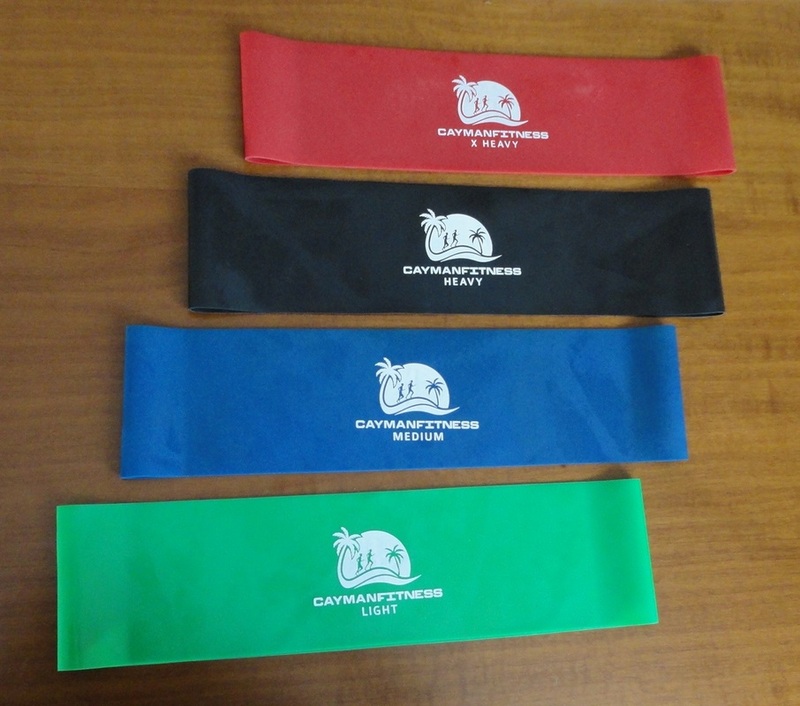 Great quality exercise bands. I first encountered resistance bands when doing physio for a broken leg. They were not part of my rehab routine, but I saw how other people used them. When I was offered a chance to try out a set for myself, for purposes of review, I was happy to accept. As soon as I got them out of the packaging, I could tell that they are actually better quality than the ones I saw at the physio's, stronger and a bit deeper, so it's easy to work with them. There are four bands in this set, all 3” wide by 12” long, but of varying thicknesses, providing four progressive levels of resistance. Green is the easiest, then blue, black and red, the toughest. They arrive with each individually packed in a plastic sleeve, and the whole package weights almost nothing and can be squeezed in the smallest handbag. Truly a portable gym. Once you learn a few basic exercises, you'll be able to keep up and improve your fitness even while travelling, without visiting a gym or going near a weight room. Very impressive support from the vendor with a downloadable ebook and online material, and targeted, easy to follow videos and articles. They have completely changed my workout routine and I love using them. 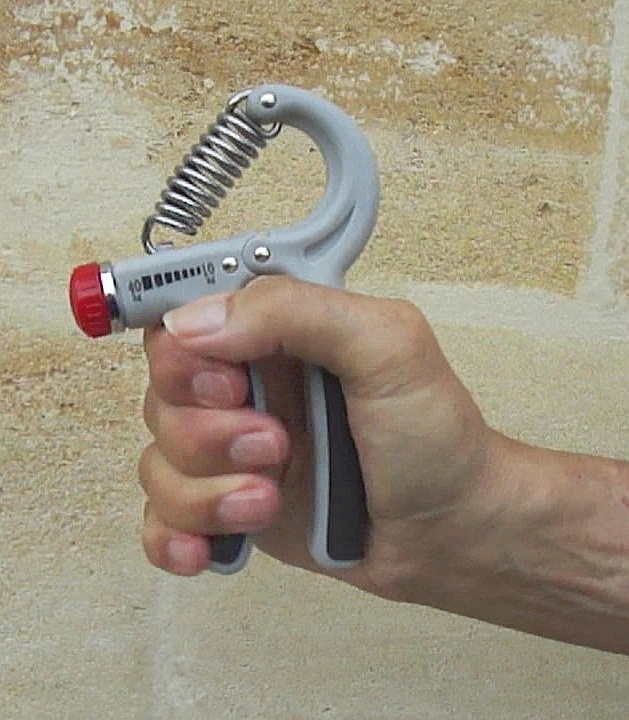 There are many reasons why someone might want to improve the strength of their hand grip. For weight lifting, a positive grip is essential. Many sports rely on a firm and secure grip. And then there is the rehabilitation aspect, when recovering from an accident or any situation that has diminished one's natural grip. 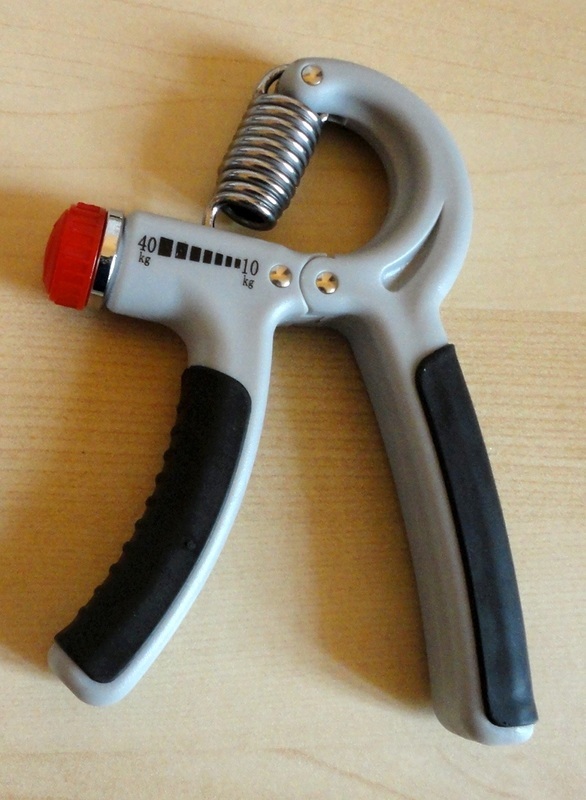 This grip strengthener is probably the best tool I have personally tested for these purposes. The ability to regulate the tension allows you to travel through the full range of motion of a hand squeeze. It is much more effective and pleasant to use than, for example, a rubber ball where the squeeze is always approximate and incomplete. It is versatile because the low settings are perfectly suitable for a weakened grip, or a typically more delicate female hand. The medium and high settings work well for a range of purposes. Calibration is a personal choice and very easily achieved by turning the red knob in the direction of the + or – sign. To do this faster, you can apply a little lateral pressure as you turn the dial. According to Senshi Fitness, pushing in does help reduce friction on the adjustment mechanism and makes increasing and decreasing tension much easier. The best way to make full use of this exerciser is to read the free ebook provided with each purchase, and follow the clear and concise directions included there. The protocol given is sound and effective, and along the same lines as high-rep training. I found the resistance to be quite adequate for my needs. The heavy workout routine of 80 squeezes would be sufficiently challenging at a setting of 30 to give the forearm and hand a complete workout. What I like best is that I can exercise one hand at a high setting and then reduce the tension to work on the other side where my broken wrist has resulted in a weaker grip and reduced forearm muscle. I received a sample Chitan for review purposes, but would have been very happy to pay the very small price for an exerciser of such quality and usefulness. After only ten days of fairly casual sessions, I have progressed up the scale of tightness, especially on the broken wrist side, and feel that my grip has improved already. Because of the correct, straight action imposed by the exerciser, my muscles and tendons did not get sore or stressed in any way and I was able to continue using it in a regular and progressive manner. 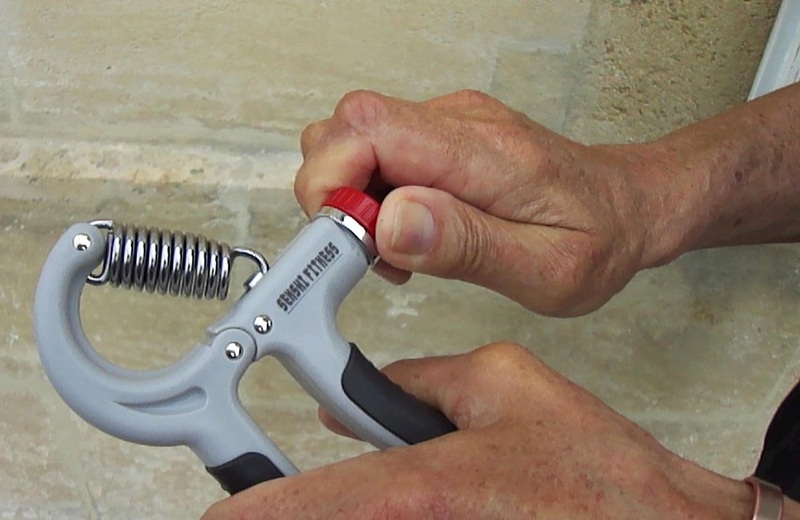 I will update this review should anything change, but as of now I am very impressed with the ease of use and efficacy of this solidly-made grip strengthener.